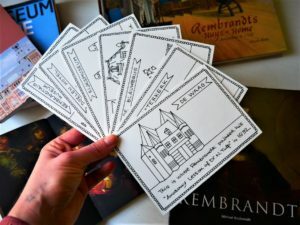 The year 2019 is celebrated as the year of Rembrandt in the Netherlands. 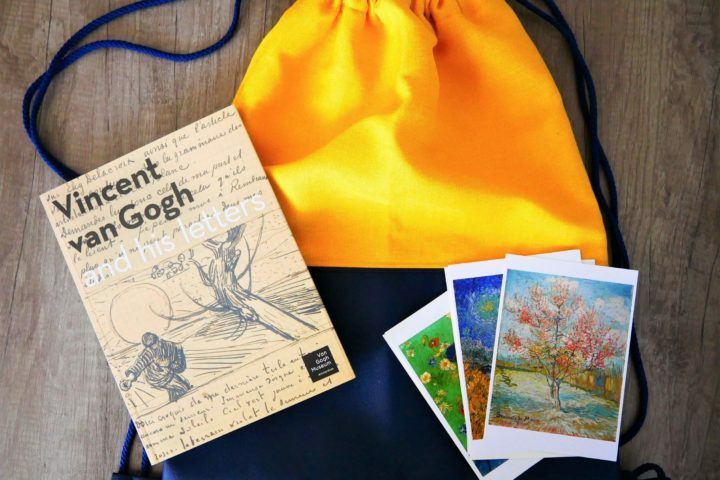 Many special events and exhibitions are organised throughout the year to celebrate the work of a famous Dutch painter. I wanted to give my contribution, by designing a set of colouring postcards ‘Rembrandt in Amsterdam’ dedicated to his life and work in Dutch capital. 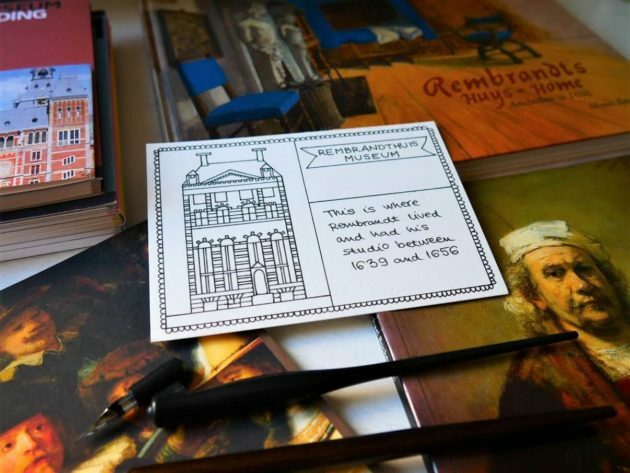 Rembrandt lived during the 17th Century and has spent most of his career as a painter in Amsterdam. 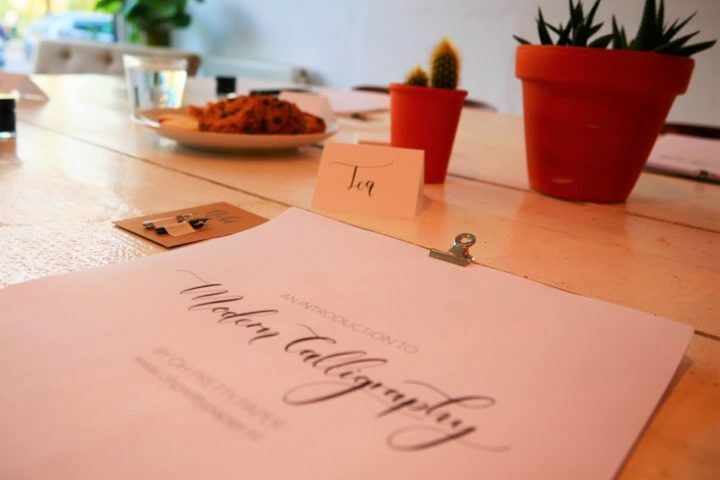 Many places related to his life and work could still be seen around the city. From the houses where he lived to places where he created some of his very famous paintings, like the ‘Night Watch’ or the ‘Anatomy Lesson of Dr. Nicolaes Tulp’. 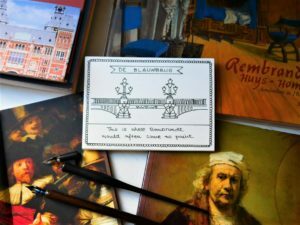 To bring that part of Amsterdam’s history into life, I’ve created a set of postcards with drawings of some of those places related to Rembrandt in Amsterdam. 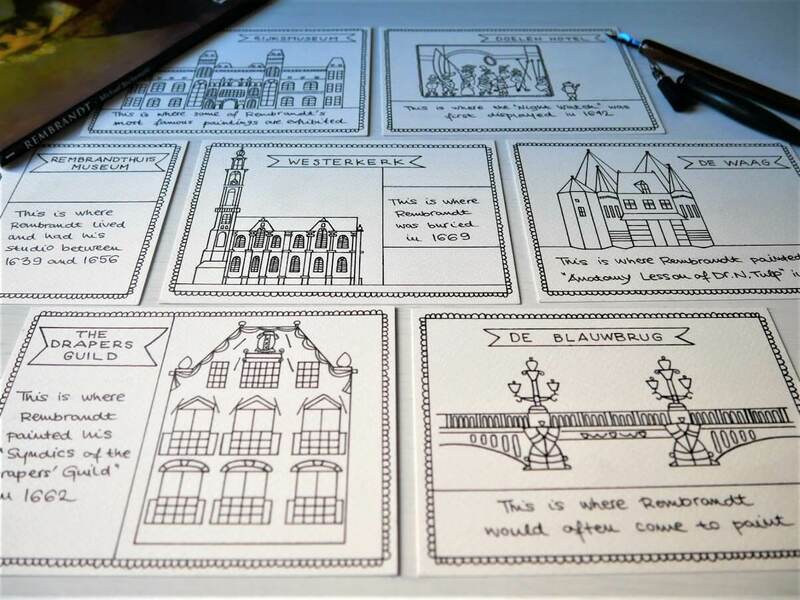 Within each of the sets with seven colouring postcards, there is a list with exact locations and addresses of those places. 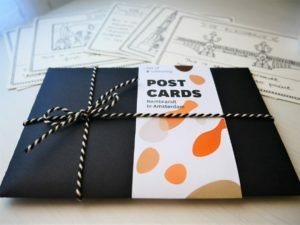 So, you can use the postcards while walking around Amsterdam to discover some of them. ‘Rembrandt in Amsterdam’ is a set of seven colouring postcards with drawings of places related to this famous painter, that could still be seen in Amsterdam. 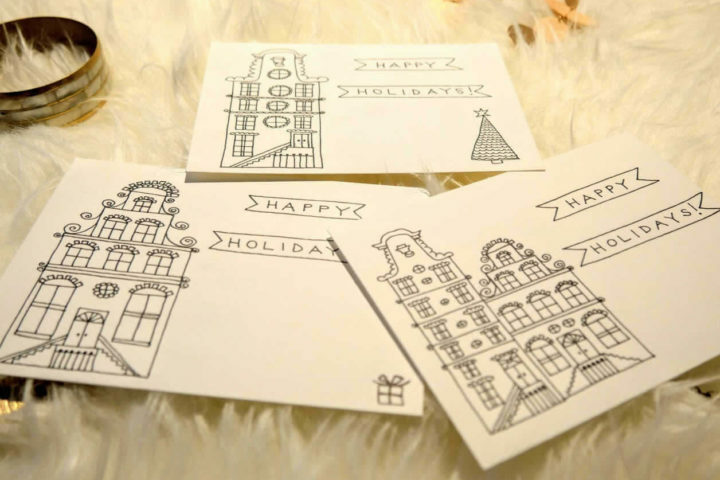 I’m delivering world wide, so you can order a set of colouring postcards from anywhere in the world. *These postcards are out of stock in a moment. 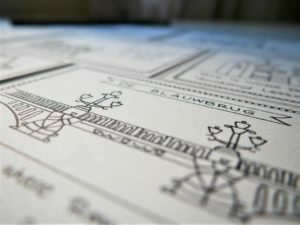 Keep an eye on my webshop, because they should be there again, soon!